The Engineering and Physical Sciences Research Council (EPSRC) announced a new £4.8 million engineering research program, led by Newcastle University, that will examine how long linear infrastructure assets, such as road and railway slopes, pipeline bedding and flood protection structures, can be better maintained and monitored to make them more resilient for the future. The announcement occurred in the week that UK Research and Innovation (UKRI) launched in London and during the Year of Engineering. 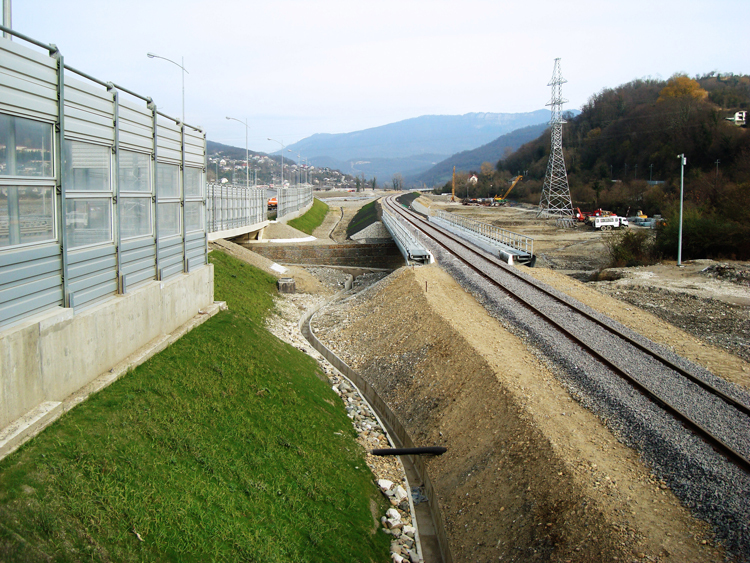 Failure of linear infrastructure assets is common in the UK. For example, in 2015 there were 143 earthworks failures on Network Rail — more than two per week. The resulting costs are high; for Network Rail emergency repairs cost 10 times as much as planned works, which cost 10 times as much as maintenance. Vulnerability to these types of failure is also significant. There are 748,000 properties with at least a 1-in-100 annual chance of flooding; derailment from slope failure is the greatest infrastructure-related risk faced by UK’s railways. Despite this, the exact reasons for, and timing of, failure are poorly understood. The research program, Assessment, Costing and enHancement of long life Long Linear Assets — dubbed ACHILLES — involves experts from the universities of Newcastle, Southampton, Durham, Loughborough, Leeds and Bath, as well as the British Geological Survey, major infrastructure owners and their consultants. “You can think of our linear infrastructure as being a bit like a 1970s car,” Glendinning said. “It’s been serviced yearly — providing the owner remembers — but could suddenly show the oil warning light just seconds before the engine explodes, causing the owner to crash the car and create traffic chaos. “By comparison, a modern car has in-built deterioration models and sensors that tell you when a service is due and what it is for so that you can plan your budget; it senses the exterior environment so that lights and wipers come on automatically when needed and it warns of the possibility of ice so the driver can adjust their speed. EPSRC is the main funding body for engineering and physical sciences research in the UK. The Year of Engineering (https://www.yearofengineering.gov.uk) is a government campaign that celebrates the world and wonder of engineering.